Tokyo, Japan’s capital, has many bustling shopping and amusement districts offering its visitors a variety of entertainment and dining experiences. At the final stages of World War II, virtually all the cities in Japan were destroyed in air raids, and Tokyo was no exception. Today, it is not easy for visitors to find the old wooden houses in which ordinary Tokyo citizens lived. If you want to go to see an old-fashioned tenement area and taste Japanese soul food, try Tsukishima. Tsukishima is only two metro-stations away from the center of the city. Only a few minutes after leaving Tsukishima station, visitors can walk through the back alleys, where locals are living their day-to-day lives in close-net communities. In these very narrow alleys, you can enjoy the old Tokyo atmosphere and bump into alley cats, a rare species in today’s Tokyo. 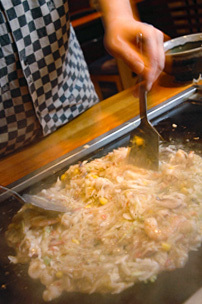 Tsukishima is also known for monja-yaki, a local specialty. It is a kind of pancake mixed with vegetables, seafood, pork and other fillings added as you like. The fun part of monja-yaki is that you cook your own food at your table. There are some 70 monja-yaki restaurants to be found on and around Nishinaka Street. 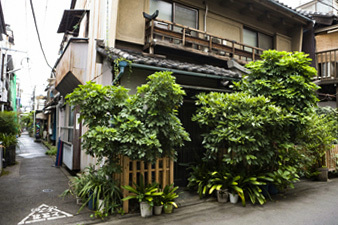 In addition, you can walk to a neighboring area which has another concentration of old-fashioned back alleys, Tsukudajima. Tsukishima is a perfect place for visitors looking for a folksy area with unpretentious food. Another feature of Tokyo is the stunning waterfront.Tokyo Bay Cruise will show you another charm of the city. Tokyo, especially its waterfront area, will be changing a lot in preparation for the 2nd Tokyo Olympics, which will be held in 2020. Yet this reformation is nothing new as Tokyo has been developing by creating canals and reclaiming oceans since the city was called Edo (1603 ? 1867). Many of the old canals and rivers remained hidden for many years due to the lack of suitably sized boats to explore them with. 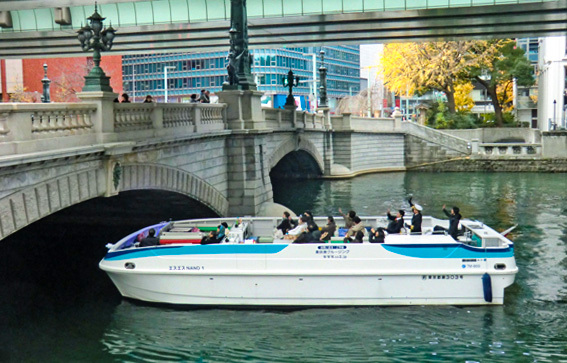 However, since the pier at Nihonbashi Bridge was opened in 2011, many river cruise companies have started using small, 40-passenger boats, to gain access to these smaller rivers and low bridge girders. Tokyo Bay Cruising operates several different courses including a 45-min tour of Nihonbashi and Sumida River, a 60-min tour of Nihonbashi River plus Tokyo Bay, and a 90-min tour of Nihonbashi, Kanda, and Sumida River. You can explore new Tokyo in the course of its development for 2020 and also feel the remnants from a historical samurai time. If you happen to be in the Nihonbashi area, why don’t you try to get a seat!